In our mobile society with fewer ties to church or a specific religion, Funeral Celebrants offer families a personalized and individualized funeral or memorial service experience. 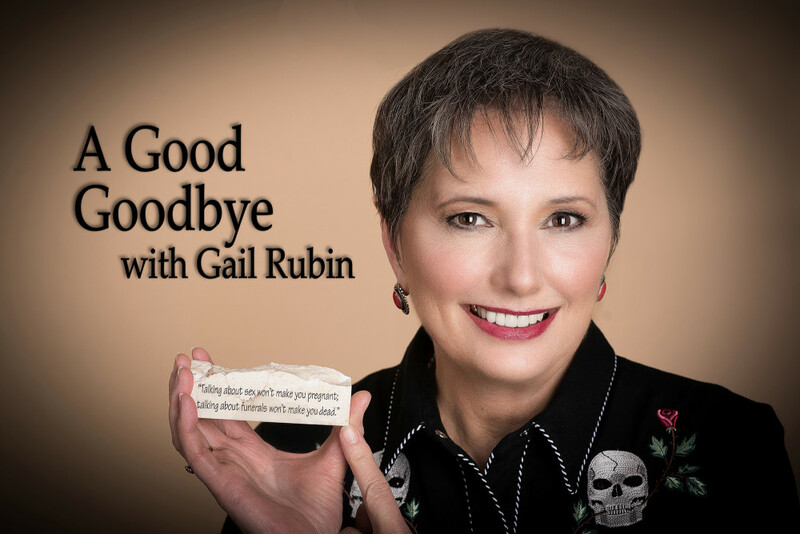 Gail Rubin, author of A Good Goodbye: Funeral Planning for Those Who Don’t Plan to Die, recently became a Funeral Celebrant certified by the In-Sight Institute. A Funeral Celebrant is trained in the specific area of conducting funerals and memorial services for families who are not affiliated with a religion or theology and do not have a clergyperson on whom to call when there’s a death in the family. In addition, Celebrants can help the many people who are no longer comfortable with a traditional religious funeral ceremony. The 2010 American Religious Identification Survey estimated that approximately 15% of the American population do not attend religious services or consider themselves church affiliated. If you grouped all the identified “nones” into a state, it would be the second largest state in the union, right behind California. The use of Certified Celebrants originated in New Zealand and Australia, where 80% of the population chooses cremation and many people do not attend a church. Civil Celebrants, who are licensed by the government in those countries, perform over 50% of the funerals and weddings. Doug Manning, one of the leading speakers and authors in the area of bereavement, toured these countries and brought the idea of Certified Funeral Celebrants to North America. He and Glenda Stansbury founded the In-Sight Institute, which has certified more than 1,600 Celebrants across the U.S. and internationally. Gail Rubin, a.k.a. “The Doyenne of Death,” writes The Family Plot Blog, providing the information, inspiration and tools to pre-plan thoughtful and meaningful funerals or memorial services. More information is available at www.AGoodGoodbye.com.